Arrow, The Flash, DC's Legends of Tomorrow, Gotham, Supergirl, Black Lightning, Marvel's Agents of S.H.I.E.L.D, Daredevil, Jessica Jones, Luke Cage, Iron Fist, Legion, The Gifted, The Runaways, The Tick - the list of superhero shows available on broadcast television, cable and streaming services continues to grow every year. 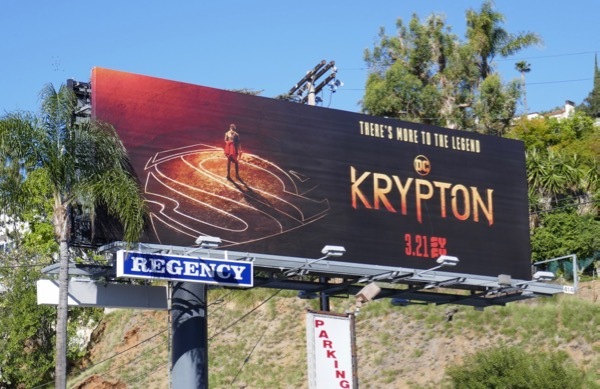 But just how many superhero shows do viewers want and is there room for one more? 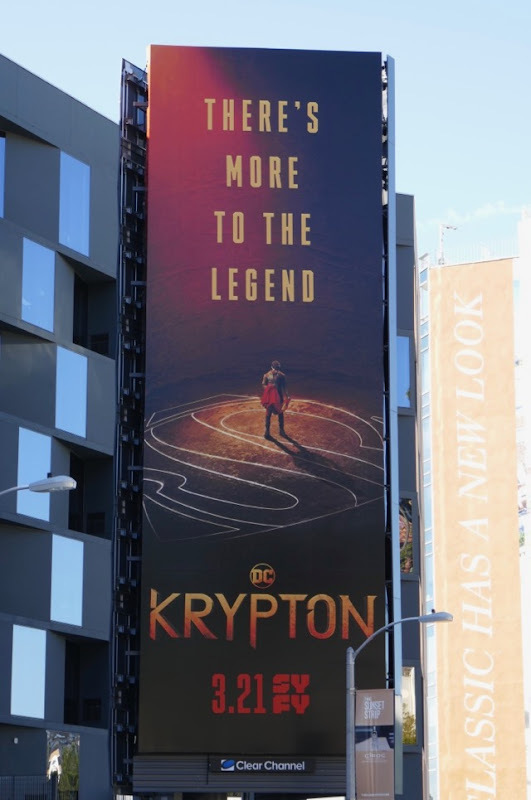 This month a new superhero series takes flight, and maybe a prequel will help continue to whet appetites for comic book adaptations on television. 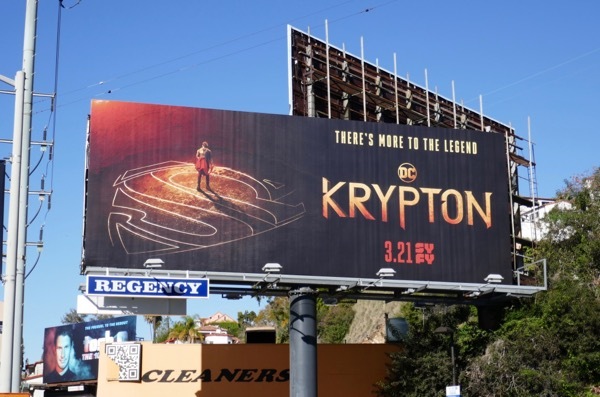 Syfy's Krypton delves into the history of Superman's culture and is set two generations before the destruction of the Man of Steel's home planet. 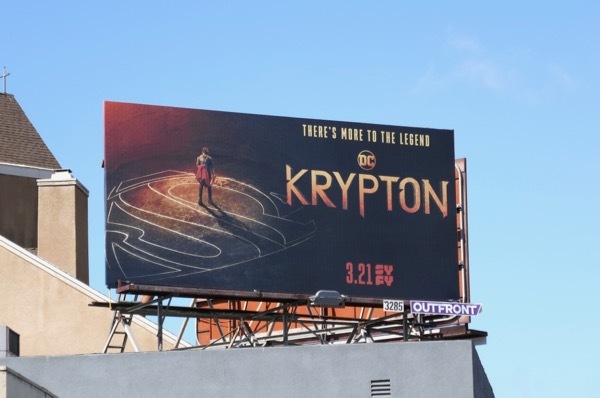 Cameron Cuffe stars as 'Seg-El', the grandfather of Superman, as he fights to restore the disgraced House of El's family honour and to protect his grandson's future. 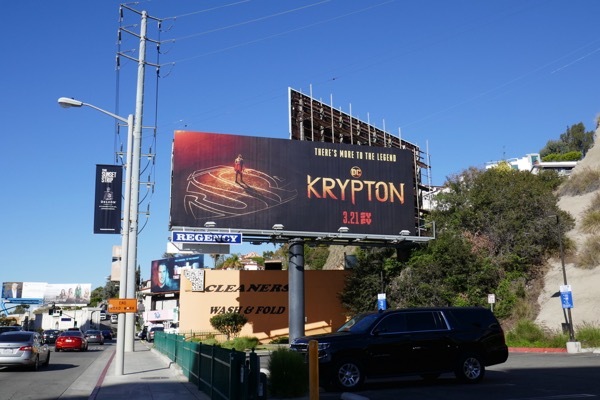 These series launch billboards with Superman's iconic logo and house sigil were snapped along West Hollywood's Sunset Strip and Melrose Avenue from March 9 to March 14, 2018. 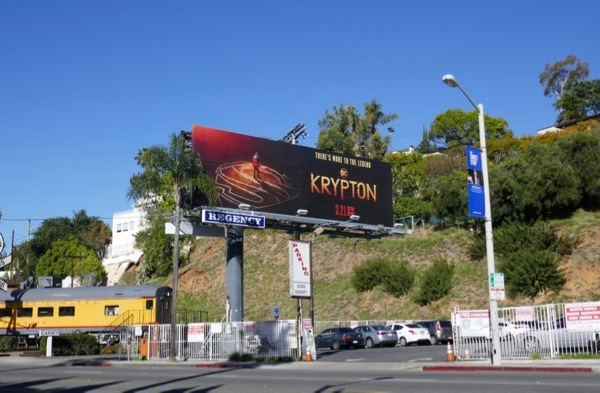 Fans of all things Kryptonian can also enjoy all these Superman movie billboards and these Supergirl TV billboards flying high in the city skyline in recent years. 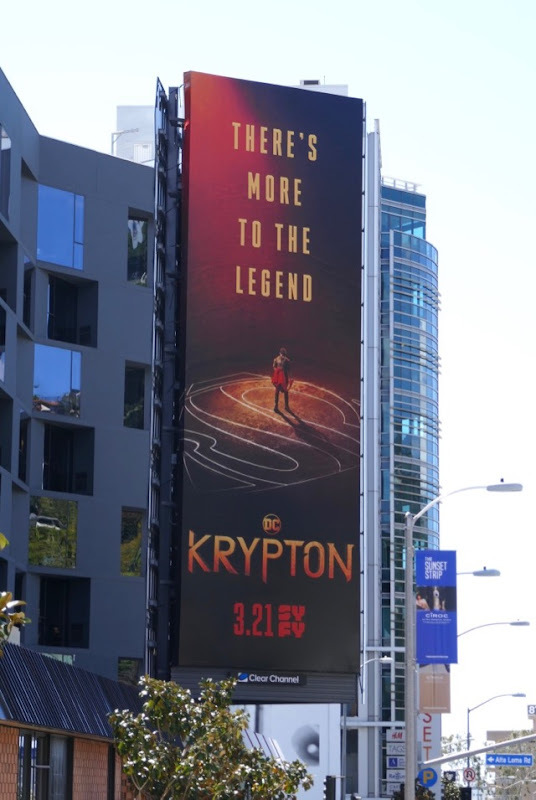 Apparently there's more to the heroic legend then we previously knew, but can Krypton survive without Superman front and centre. 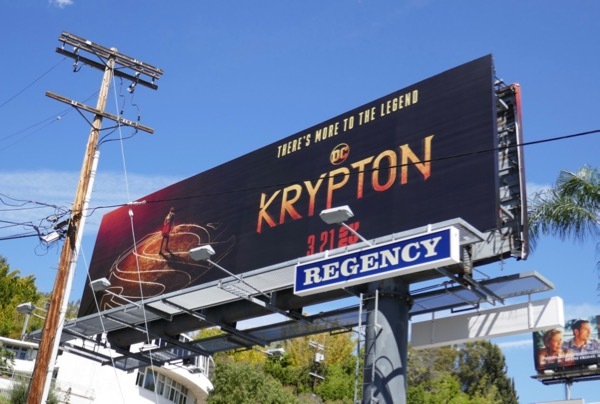 Only time, comic book fans and ratings will tell.